Every now and then, surveys are conducted regarding different topics. 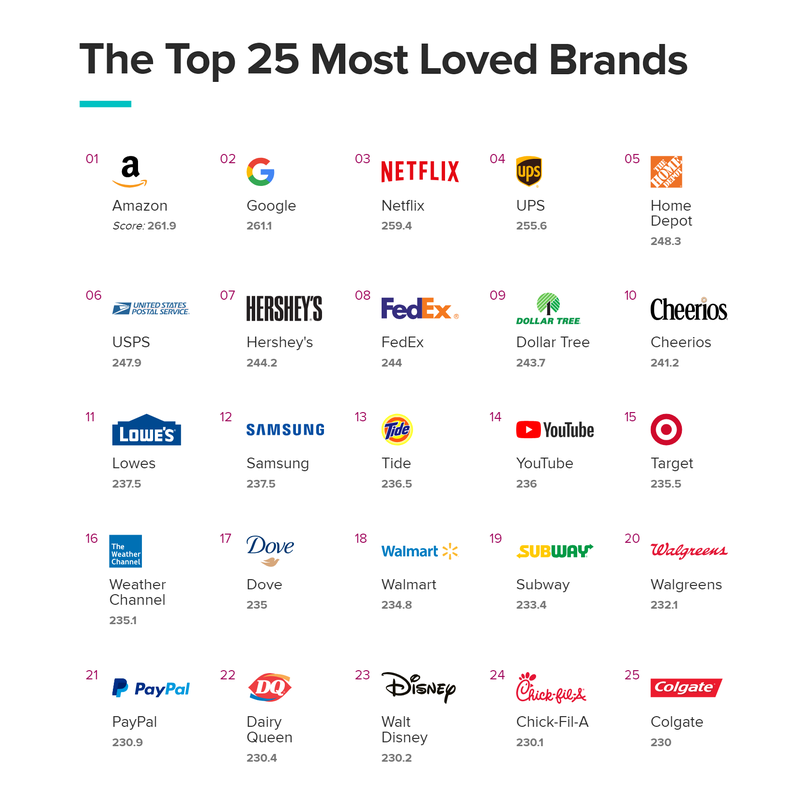 The recent survey by Morning Consult took the response from 400,000 U.S. adults about their most loved brands in 2019. The most loved brand by Americans is Amazon, the same company whose employees are often seen protesting about the working conditions within the company. The tech companies are no behind as Google managed it to be on the second position and Netflix the 3rd most loved company in America. YouTube, PayPal, and Samsung were also found in the list of top 25. Surprisingly Apple is not in the list of top brands and according to Morning Consult data, in the last three years, Apple has not made it to their top 25 companies’ list, despite their huge profits in the last few years. 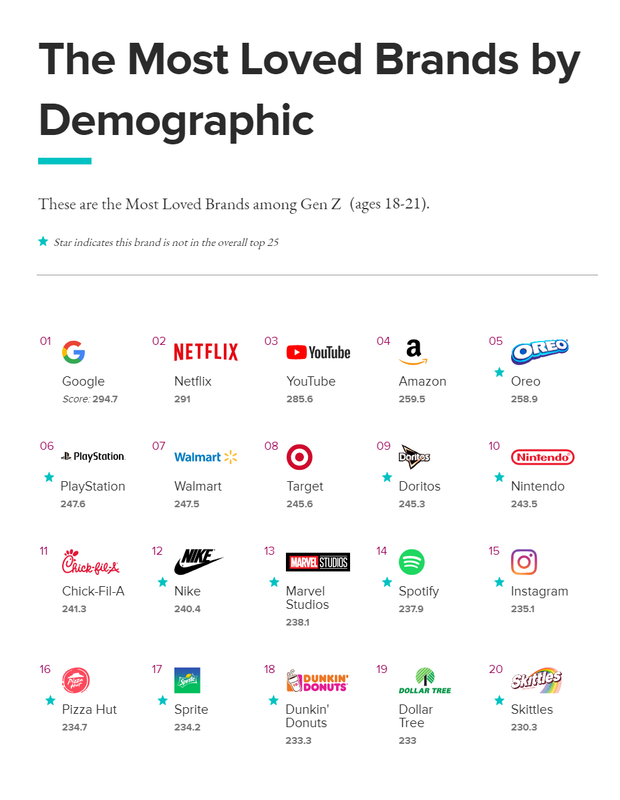 Whereas the brands loved the most by Gen Z (Aging from 18 to 21) is to some extent different than this list. The index is based on favorability, trust, community impact and net promoter score.